Adesso is a sweet red wine gem made of 100% Refosco from the Rimini area of the Emilia-Romagna region, just south of Venice. Adesso is a sweet red wine gem made of 100% Refosco from the Rimini area of the Emilia-Romagna region, just south of Venice. Adesso, which means “now” in Italian, is produced by a wine cooperative established in 1994 that today comprises 990 vine-growing members. 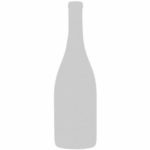 Soft garnet in color, it is medium-bodied with a pleasant nose of red berries and flavors of black raspberries, cherries and spice. It is nicely balanced, with a long and silk smooth finish. Sweet and delicious!